The Fujifilm X-T20 is a wonderful little 4K filmmaking machine, but like many smaller cameras its size means some compromizes had to be made to fit everything in. In this article I'll explain some of the camera's quirks, and offer some workarounds to get the most out of this tiny wonder. One common function I did find oddly placed within the menu was the option for formatting your card. If you need it: it’s under Menu > Set Up > User Setting > Format. ‘Wrong’ way around Strangely FujiFilm did left out the physical ISO dial present on the X-T2 in favor of a more easily accessible shooting-mode dial. To fix this go into Menu > Set up > Button/Dial Setting > Fn/AE-L/AF-L Button Setting > R-Dial and set it to ISO. Now you can finetune your shutter-speed using the rear dial, and press and turn the rear dial to adjust the ISO. Speaking of wrong directions: by default the focus ring also turns the opposite direction of most cinema lenses and Canon glass. And unlike the direction of dials, this can be hard to get used to. Furthermore, focussing the wrong direction during a take, can ruin the shot. Luckily Fujifilm has realized this and gave us an option to reverse the focus direction! Go to Menu > Set up > Button/Dial Setting > Focus Ring and set it to CCW. 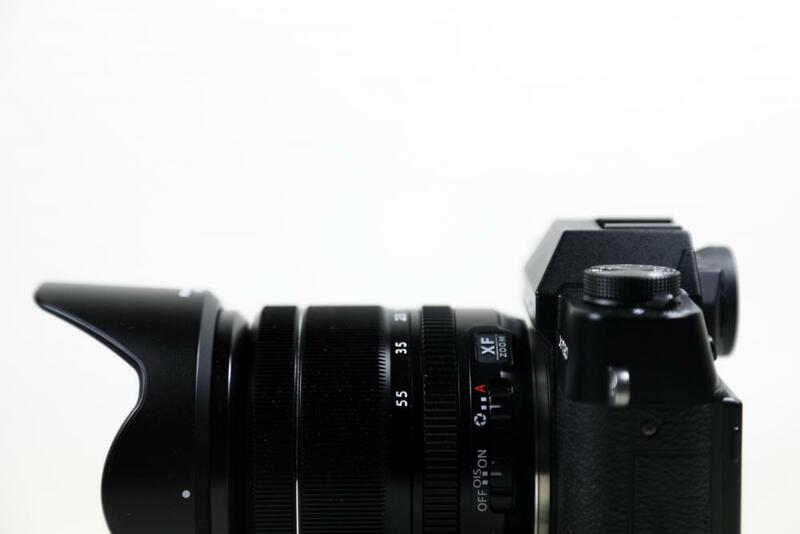 This does bring me to a downside of many of the Fujifilm lenses: the only way you can possibly reverse the focus-direction is when the focus-ring is not physically connected to the lens elements. This means Fuji uses an electronic focus-by-wire system, which makes it hard to accurately repeat manual-focus moves. Luckily FujiFilm incorporated a few great focus-assist tools to help out. Firstly there’s a good focus-peaking function (activate via Menu > AF/MF > AF Illuminator) and an enlargement function for manual focus. To activate the latter, go to Menu > AF/MF > Focus Check. Now if you turn the focus ring, the image will be enlarged. If you really can't work around/with the focus-by-wire system, there are some Fujifilm lenses that offer a mechanical focus ring, like the Fujifilm 14mm f2.8 or of course make use of Fujifilm's rather excellent touch autofocus. Just like the Panasonic LX-100, the X-T20 features a dedicated shutter dial. And just like on the LX100, it uses the NTSC-based shutter speed values (1/60th, 1/30th. etc.). There's no 1/50th on the dial, which videographers in PAL-countries need. To overcome this issue, set the shutter dial to 1/60th and fine-tune the shutter speed with the thumb-dial. Downside of this approach is that you can now only choose shutter-speed values that are close to the value chosen on the shutter-speed dial. Set the shutter-dial to 'T' if you want to be able to select any shutter-speed value on the thumb dial. Got any questions or suggestions about the FujiFilm X-T20? Be sure to let me know in the comments below!